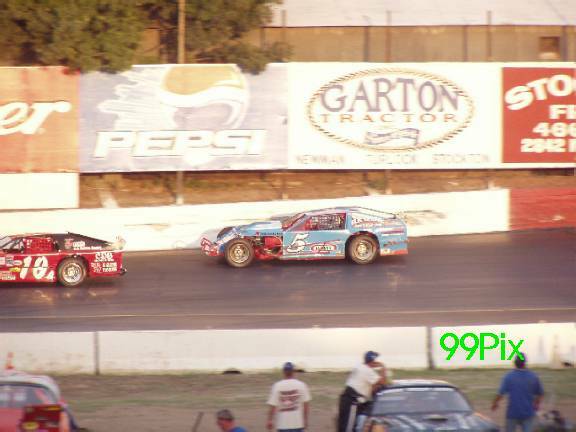 July 19th, 2003. . .Revving engines, a lot of horsepower and a cheering crowd kicked off the evening at the high-banked quarter mile paved oval for the NASCAR Double Points night at the Stockton 99 Speedway. 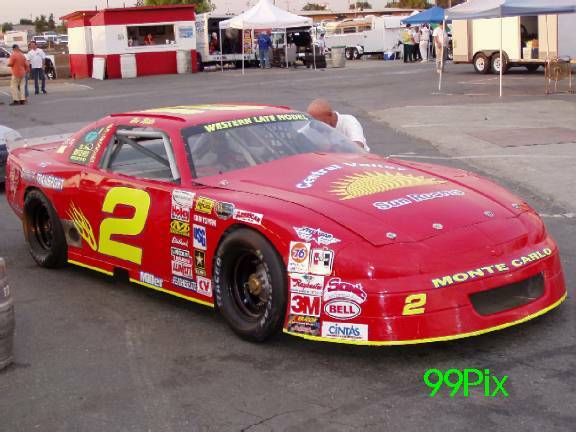 The NASCAR DODGE WEEKLY SERIES featured five divisions, the Premier Western Late Models, Grand American Modifieds, Pro 4 Trucks, Pure Stock and Legends. 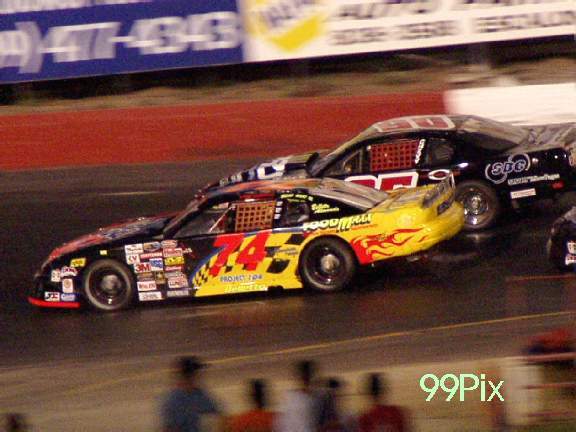 Modesto native Harry Belletto, #74, celebrated his fifth win of the season in the Western Late Model Premier Division. It wasn’t an easy win for Belletto who looked a little loose through some turns. 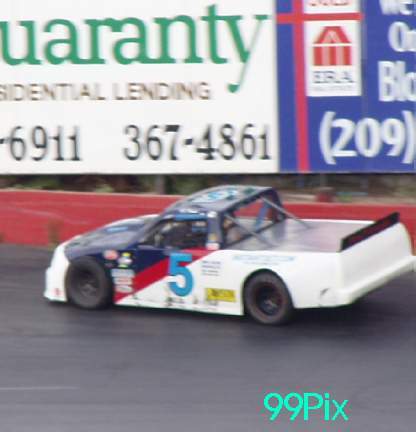 The veteran NASCAR driver narrowly held on to the lead as championship points leader Eric Schmidt, #05x, of Roseville put the heat on Belletto, anticipating an opportunity to advance into his position. Schmidt successively shadowed Belletto, struggling to take him from the inside when Belletto went high on some turns. 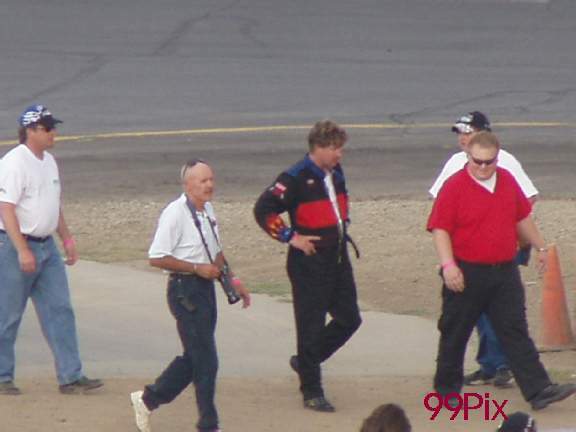 Belletto, Schmidt and Pete Anderson, Jr., #5, of Stockton went three deep rounding turn four in the final laps of the race, with the crowd on its feet. 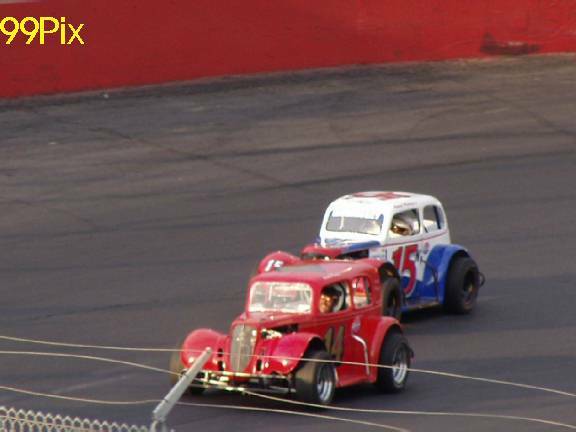 Belletto jetted ahead and remained in the lead to take the checkered flag in the HAVOLINE C.L. BRYANT, INC sponsored division. Schmidt closely followed for 2nd place, Anderson finished 3rd and Mike Garcia of Lodi took 4th. It was an unfortunate night for John Moore of Granite Bay. 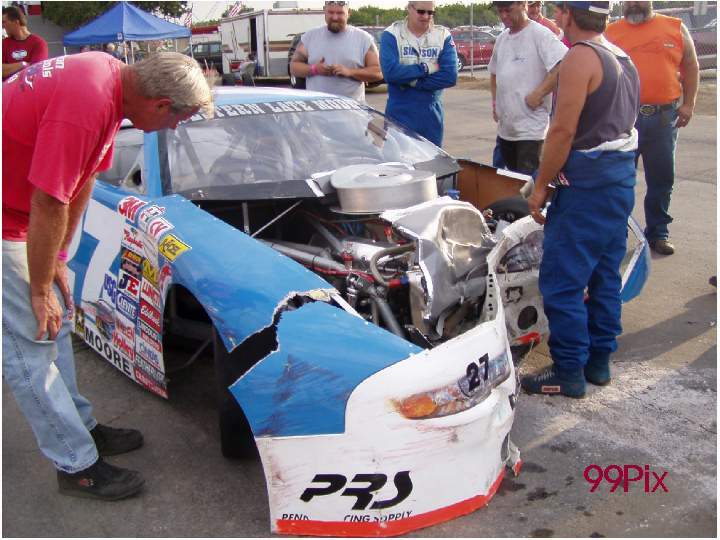 Moore was unable to compete in the main event after he slammed head on into the wall during the trophy dash. 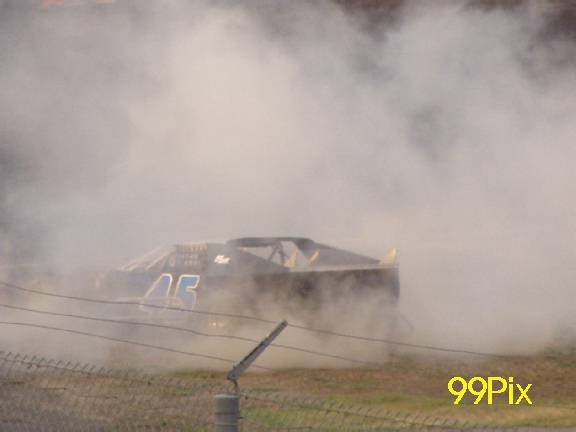 Moore gave the crowd a thumbs up after the crash and was taken to a local hospital for x-rays, John plans on returning this week in his hunt for rookie of the year honors. 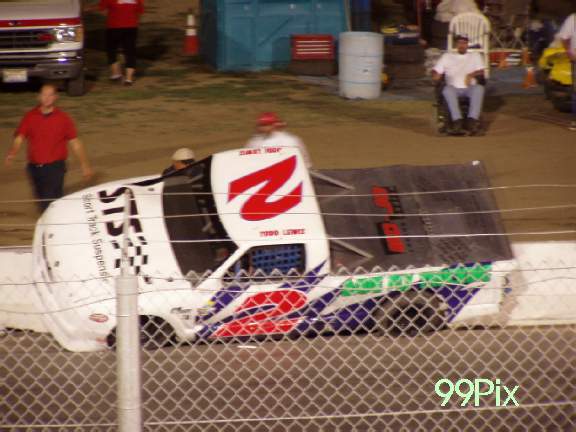 June 12th victor Wes Miller, #2, of Turlock was unable to defend his win due to work. 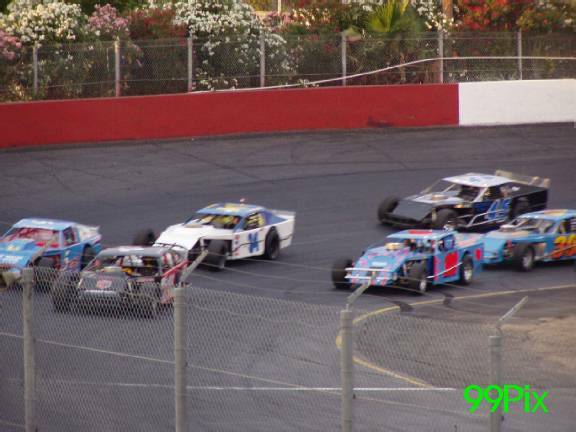 Citrus Heights native Jay Linstroth, 10a, dominated the competition in last Saturday’s Grand American Modified Division. Linstroth set the new fast time track record at 13.792, leaving Greg William’s 1992 record of 13.842 for the history books. 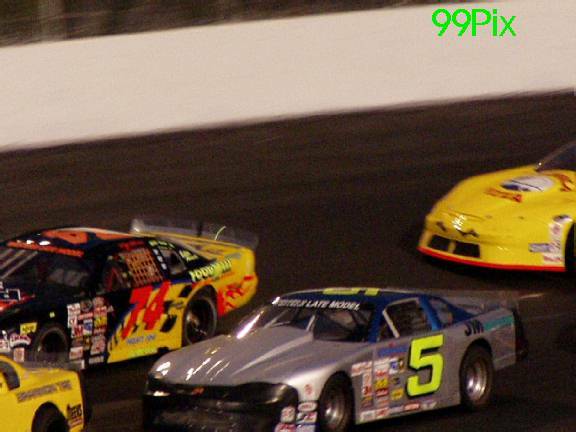 Linstroth was like a lit rocket after the start, leading every lap on the race for his fifth win of the season. The win bumped him f rom second to first place in the point standing. 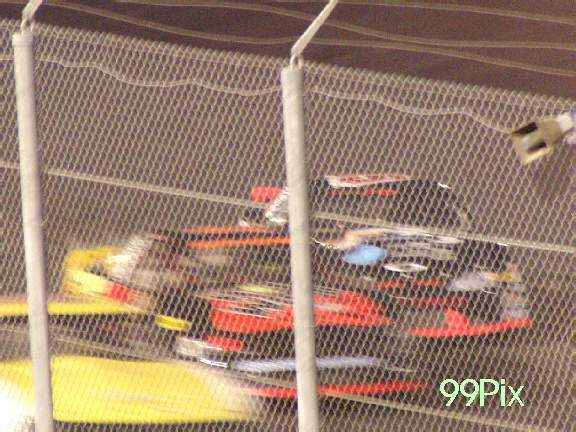 Jason Philpot of Sacramento, #5, tried to close the gap and advance toward Linstroth in the main. 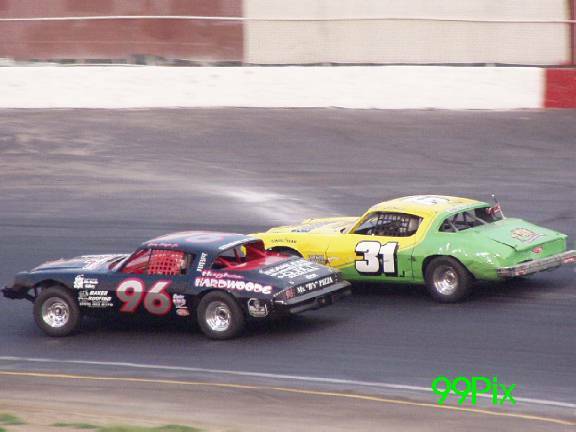 Philpot attempted to squeek past Linstroth after Buzz Devore of Stockton, #45, spun out on the sixth lap, but Linstroth never left an opening leaving Philpot to finish 2nd. 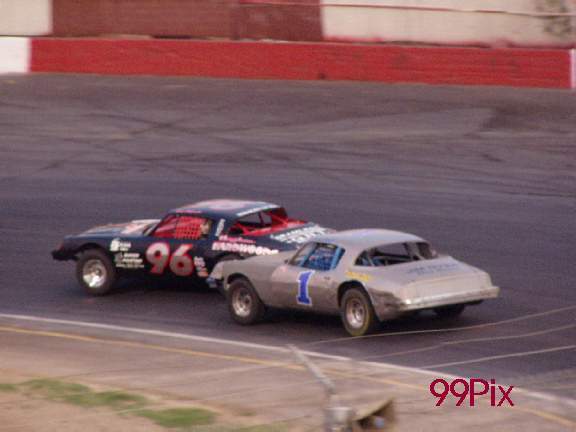 Ted Montague of Newark came in 3rd and Stewart Cullom of Stockton finished 4th. 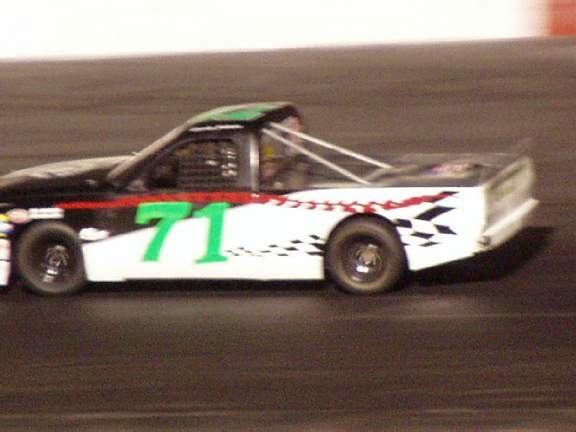 In the Pro 4 Truck division, Randy Jahoda, #71, of Tracy moved past Carrie Miller of Saratoga to take the win. Jahoda won his first main event last Saturday. 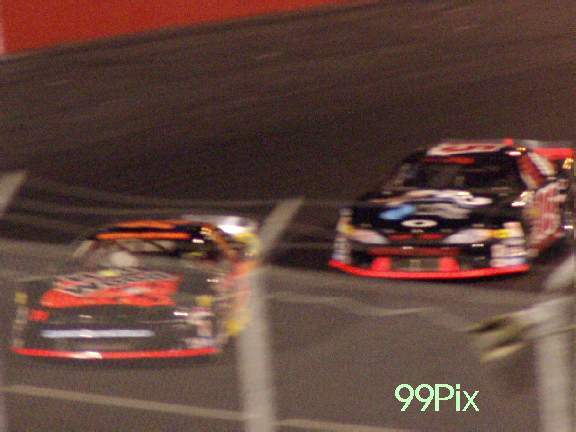 It looked like a heated contest as Jahoda and Miller met side to side at a chance at the checkered flag. Miller was unable to move around Jahoda and came in 2nd place, Mike Frank, #5, of Denair placed 3rd and Mike Curry of Lodi was 4th. In the Pure Stock Division, Michael Wendt, #1, was set on taking a checkered flag win after he was the top qualifier and dash winner. Wendt was able to dominate five-time season winner Gary Schafer, Jr., #96, of Stockton for his second 1st place finish of the season. Schafer tailed Wendt, but couldn’t catch him and placed 2nd. 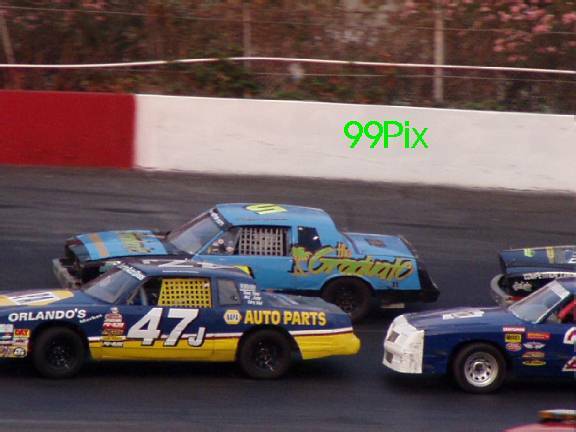 Jeff Ahl of Lodi, #31, was 3rd, Tom Bolin finished 4th and last weeks two-time season victor Aaron Shankel, #47j, was 5th. Brian Miller of Railroad Flat, Michael Matthews, Ray Bird and Chris Norton of Stockton advanced to the “A” Main after qualifying in the “B” main, respectively. 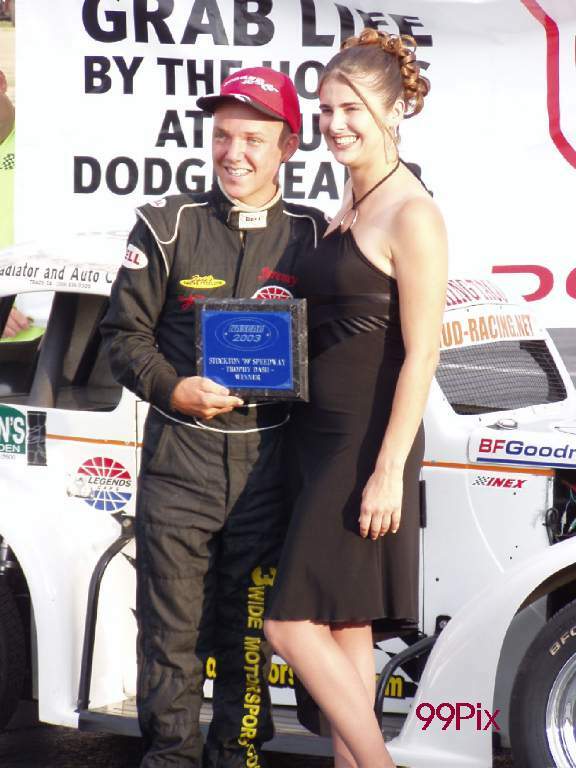 Sixteen-year-old sensation Jeremy Wood of Tracy, #22w, captured the glory of a checkered flag victor, in only his second run at Stockton 99 Speedway. Wood made his first win of the season look effortless as he gracefully weaved his was through the pack. 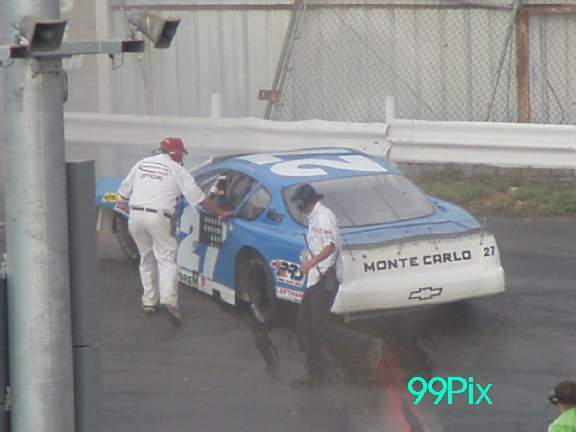 Not only did he lap nine cars, Wood worked his way to the lead from a twelfth place start. Frankie Winchel, #14, of Sebastopol finished in 2nd, Michael Morrisey, #15n, of Tahoe City was 3rd and Richard Appleby of Yountville was 4th.